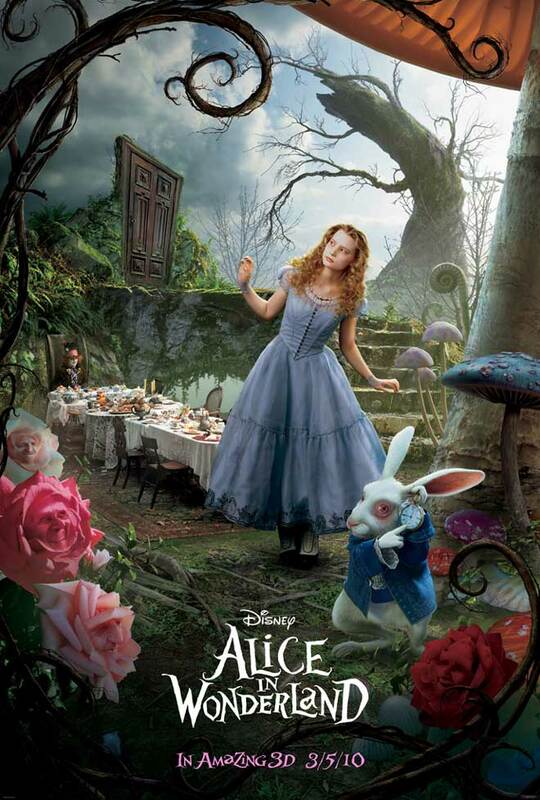 ALICE IN WONDERLAND is one of my match awaited film in Philippine cinemas and that will be ended on March 4, 2010. I used to read the book ( Alice's Adventures in Wonderland by Lewis Carroll) about the adventures of Alice on how she conquers all the obstacles that the Wonderland had rendered to her. Started by reading a book on the riverbank and a white rabbit appeared which she follows and the rest is adventure.I also saw the movie actually a musical movie don't now who produces it but we used to watch it with my cousins. Nowadays through the advancement of technology and animation graphics in making films, this movie is definitely a must watch for me.I recently saw the full trailer in the big screen and it was so amazing ,that the once I read is now more colorful and real. I cant seem to imagine that it can be done like that, it was vivid in my mind that my cousins and I are always playing the characters and we really enjoyed it. Walt Disney Pictures will give as another movie that will surely make our imaginations through life.Director Tim Burton the one who master-crafted the film and written by Linda Woolverton. Some famous characters are Mat Hatter played by non other than my favorite actor Jonnhy Depp is Alice ally and who used mercury to poison and cure felt, White Queen played by Anne Hathaway the "Cute but psycho. Things even out" which has an elder sister the Red Queen played by Helena Bonham Carter who hates animals and the one who rule the Wonderland which own different creatures specially the Jabberwocky voice of Christopher Lee, a dragon which can only slay by 19 year old Alice played by pitch-perfect Mia Wasikowska to help her friends and their families and a lot more amazing artists (physical and graphical) which will perfectly made this movie as a whole. 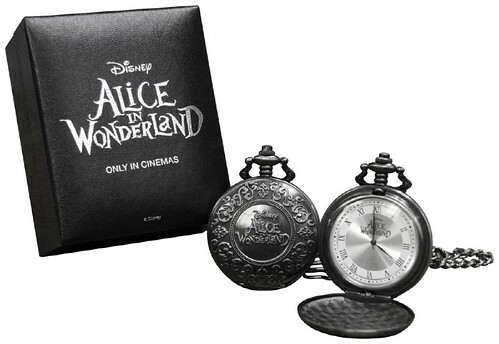 And if you wanna to win one of this pocket watches just log on HERE and join the contest. Check list for the Alice in Wonderland movie events provided by azraelsmerryland and do follow this informative site for more exciting features about latest movies and events. Lets go "Down the rabbit-hole" !!! !